Research, teaching, and podcasts, oh my! If three words could summarize Crowbird Michelle McMullin’s time at Purdue, those would be it. Michelle is studying Rhetoric and Composition, with a focus on technical communication. She is interested in the ways public policy and public rhetoric inform each other. 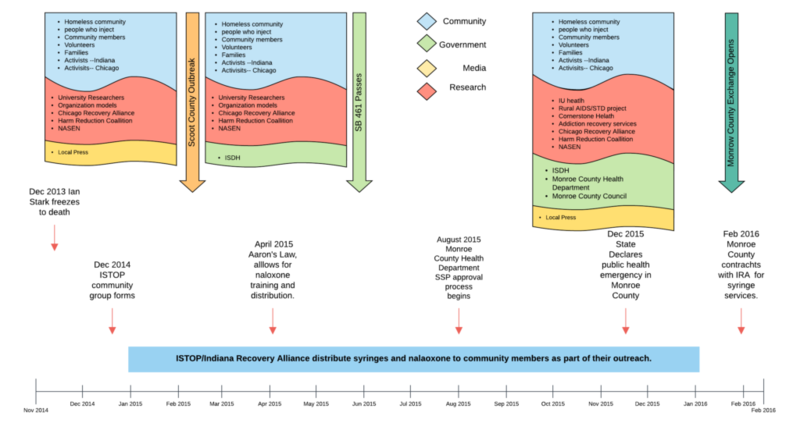 Her dissertation explores the HIV outbreak in southeast Indiana and how this public health crisis motivated state legislature to implement needle exchange programs. Michelle McMullin’s dissertation explores the intersection of public rhetoric and policy. When asked about what she does in her free time, Michelle laughed and said she likes “to sleep and sometimes do laundry.” With her busy schedule, most of Michelle’s “free” time is taken up with research and listening to podcasts—two concepts that have more in common than one might think. Several of Michelle’s favorite podcasts are created by the McElroy family. Fans of their shows, such as My Brother and Me and The Adventure Zone (TAZ), recently managed to raise more than $48,000 in 72 hours in support of the Boys and Girls Club of West Virginia. The organization lost funding because they were serving LGBTQ+ kids. Ever the academic, Michelle couldn’t help but analyze the experience through the lens of her research, saying, “as somebody interested in community building and public problem solving, this was fascinating.” She also noticed that audience members of the actual play podcast TAZ engage with the creators to inform the writing of the show. Based on audience interaction, the McElroy family continues to challenge hetero-normative gender representations and include queer characters in their storytelling. Michelle’s observations of this collaborative storytelling led her to a collaboration with fellow academic and TAZ fan Lee Hibbard on an article about queer representation in an actual play podcast community. In December of 2015, Michelle became one of the first members of Crow, specializing in creating and sustaining Crow’s infrastructure. She recently finished a best practices article with Crow team leader Bradley Dilger. This isn’t the first project they’ve collaborated on; in fact, their overlapping interest in technical writing is what originally prompted Michelle to join the Crow team. In this ongoing study of our best practices, we are using data about our distributed work to evaluate and improve our collaborative methods. Michelle is leading this effort, developing a research design based on data we can collect from Basecamp, Google Drive and GitHub. From this data, supplemented with team interviews and discussions, we are identifying trends in participation, leadership, and efficiency. This mixed methods approach is allowing us to identify the best practices needed to make Crow sustainable. Michelle has returned as a full-time Crowbird this spring, on research assistantship to help us wrap our Humanities Without Walls grant and kickstart outreach now that we have the Crow platform up and running. She is eager to continue her infrastructural work and begin mentoring undergraduate researchers from a new position.